Nigel Chapman GM (2006, 2008, 2010, 2011, 2012, 2014) - Abstract Images RHS Garden Wisley - a former RHS Photographer of the Year (2005), Nigel has won 6 Gold Medals. Laurence Hill (GM 2014, 2017) - Species Boundaries: Fritillaria affinis Laurence specialises in Fritillaria, has an incredibly technical/botanical website Fritillaria Icones - where he highlights his research and some of his photographs and has produced some very diverse and innovative exhibits in the past. For example, Fritillaria, A Family Portrait Fritillaria, A Family Portrait, included 80 species at their actual life size within a 10 metre long composition that is sequenced in order of the most up-to-date genetic research from Kew’s Jodrell Laboratory. It was exhibited at the Royal Botanic Garden, Kew in 2014/15. It included 80 species at their actual life size within a 10 metre long composition that is sequenced in order of the most up-to-date genetic research from Kew’s Jodrell Laboratory. It was exhibited at the Royal Botanic Garden, Kew in 2014/15. Polina Plotnikova GM (2014, 2015, 2017) - Dancing Flowers - Polina is a regular exhibitor of RHS Botanical Photography. For me Polina is a classix example of somebody who was producing very good quality photographs but just missing out on Gold with her first few exhibits - and then identified how to move up a gear and make her exhibits stand out and be special and unique. Her website gallery of RHS exhibit projects is an education for those aspiring to exhibit here. Jo Stephen - Faerie Woods​ - First time Exhibitor. Her title doesn't sound very botanical - but her website has a page about Faeries Woods. I look forward to finding out the botanical connection. I'll be posting about who won what after the medals have been announced. The RHS Photographic Competition is a multi-category, free to enter annual competition aimed at garden lovers, horticulturists and photographers alike. 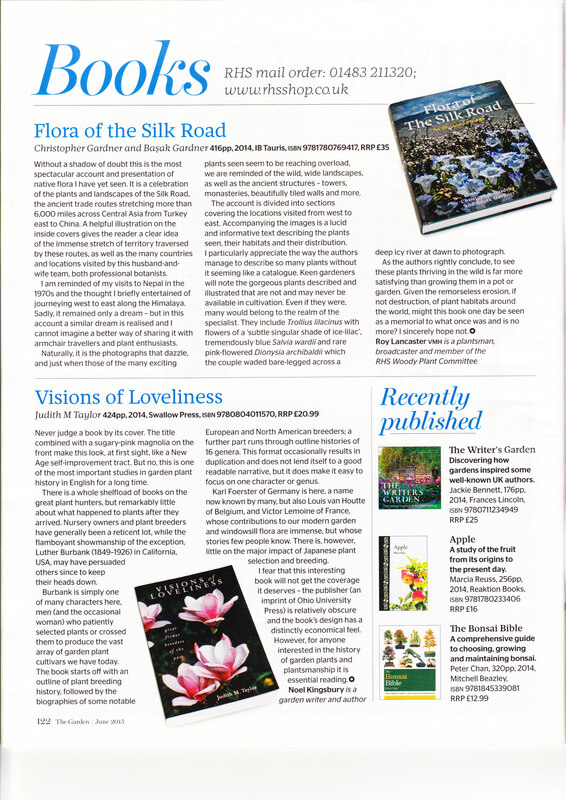 an exhibition running concurrently at the four RHS Gardens over the summer. There's a bit of confusion as to when the winners will be announced as the exhibitor list suggest this will be on Wednesday at the preview evening and the RHS website says the winners of the 2018 RHS Photographic Competition will be announced on the website in The Sunday Times on 8 July. Whatever - you'll be able to see the winners at the show. The 2019 RHS Photographic Competition, sponsored by the Sunday Times, will also be launched in the Sunday Times and at the show. Celebrating Gardens: photographing the very best of gardens and celebrating the essence of being in a garden. Photographs include spectacular views of private and public gardens, flower portraits and people enjoying the space around them. Welcoming Garden Wildlife: beautiful photographs of insects, birds and creatures found wild in the garden or garden surroundings. Pure Plants: as the name suggests the focus is plants, be it an individual bloom, a group of trees or leaf details. The plants can be of any kind growing happily in their location or in the natural environment. Abstract: imagination, originality and creativity is key, with images including unusual plant close- ups and abstract views of plants and gardens. Image manipulation and graphic approaches are also allowed. Urban Gardening: this category focuses on all types of gardening that can be undertaken in a city or town. Supporting the RHS Greening Grey Britain campaign which aims to enrich everyone’s lives through plants and make the UK a greener and more beautiful place. Social Media: any image submitted via RHS Twitter, Instagram or Facebook accounts using the hashtag #RHSphotocomp. The images must be related to anything horticultural, gardening or wildlife. Under 18s (age 11-17): photographs depicting something plant, garden or wildlife related that interest the photographer. Under 11s: photographs depicting something plant, garden or wildlife related that interest the photographer. Portfolio: a compilation of six images in a series based on a common theme or style. This category is open to both amateur and professional photographers.